Give your members access to high-quality conversation with a physician in seconds. No cost, no wait, and no worries - all just one tap away. It’s Time for a Virtual Care Solution Your Members Will Love Using. 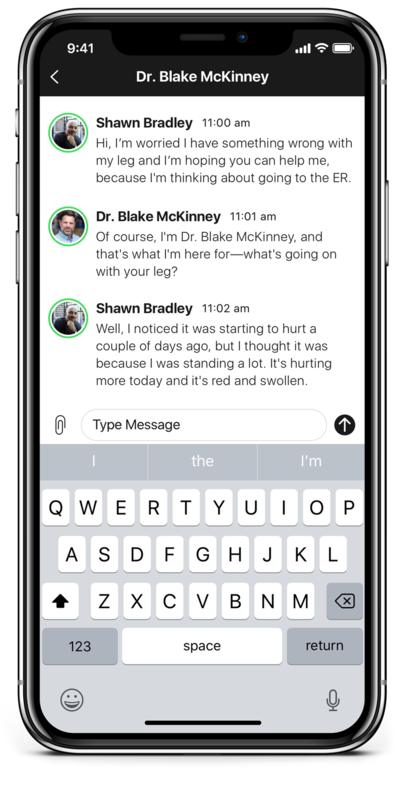 CirrusMD helps innovative payers and integrated networks give members instant chat access to a dedicated physician, with no time limits attached. Empower stress-free dialogue that doesn’t end until your members get the answers they need to manage their wellness. The best outcomes result from happy users. Learn more about what sets the CirrusMD experience apart- for partners, for patients, and for our team. CirrusMD is the only HIPAA compliant healthcare chat platform for providers, health plans and patients.